When producing stories for mobile audiences, journalists must consider which platform best suits the content, according to CNN International’s digital producer. 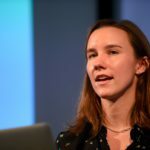 With one week to go until the next news:rewired digital journalism conference (1 December, London), we’re pleased to announce Heather Bowen, head of social media at the Daily Mirror, will be joining the panel on messaging apps in the newsroom. 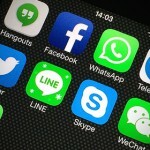 Alongside, Trushar Barot, mobile editor at BBC World Service, and Blathnaid Healy, UK editor at Mashable, Bowen will be discussing the role of chat apps – from WhatsApp to Snapchat and Viber – in journalism and their potential uses in the future. 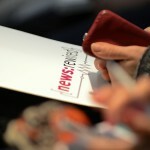 The event takes place on 1 December at the MSN UK offices in London near Victoria, and delegates will hear from expert speakers from the Guardian, The Washington Post, the BBC, The Wall Street Journal, BuzzFeed, Vice News and more. Check out the full programme for the day here. Tickets cost just £165+VAT and they’re selling fast – with only a week to go, reserve your place now to avoid missing out. With just under two weeks to go to our first ‘in focus’ event on social media newsgathering and verification, Journalism.co.uk is pleased to announce the final programme for the day, including new speakers from Reuters and The Associated Press. 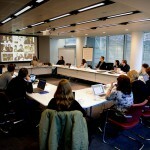 Joining our expert line-up will be: John Pullman, global head of pictures and video at Reuters; George Sargent, social media producer at Reuters; Beth Colson, head of news production, international video, at The Associated Press; and Matt Cooke, UK, Ireland and Nordics lead at News Lab, Google, who is kindly sponsoring the event. The half-day conference will take a detailed look at the questions surrounding eyewitness media search and verification, taking place on Wednesday 21 October at Reuters in Canary Wharf, London. 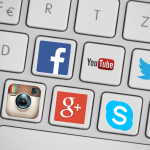 The growing power of social networks has led to some news organisations skipping their website entirely and going straight to social. 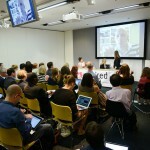 This panel at the recent news:rewired aimed to look at variations on this strategy and discuss their pros, cons and pitfalls. Check out the slides and audio recordings from Malachy Browne, managing editor at reported.ly, and Ramaa Sharma, head of social media at BBC World Service, followed by audio of the full session including Mashable’s global head of news, Louise Roug, moderator Holly Brockwell, editor in chief of Gadgette, and the full panel Q&A. 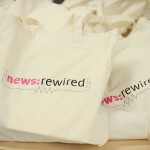 One of the livelier sessions at the recent news:rewired conference looked at new issues and trends in how news organisations and journalist deal with live news. 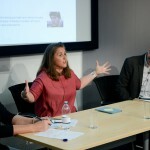 Matt Wells, live editor at the Guardian, Claire Wardle, co-founder of EyeWitness Media Hub and research director at the Town Center, and Tim Pool, media innovation director at Fusion, all spoke in the session. 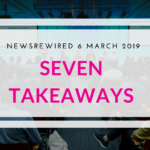 Social media is taking an increasingly central role in how newsrooms find and report on stories, so expert speakers in the field came and gave their advice at last week’s news:rewired conference. 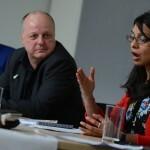 Dhruti Shah, a UGC producer at BBC News, and Jochen Spangenberg, innovation manager at Deutsche Welle and the Reveal project, gave some useful pointers.